Andrew G. Haley made a number of exceptional contributions to the history of modern astronautics. Considered to be the world’s first space law practitioner, Haley helped shape the emerging field of space law as an administrative leader, legal advisor, member, and delegate of the American Rocket Society, International Astronautical Federation, the International Institute of Space Law, and the International Academy of Astronautics. He co-founded and managed a major rocket manufacturing company, and coined the term “metalaw,” which refers to the study and development of a workable system of laws applicable to relations with alien intelligences. In addition, Haley worked tirelessly as a reporter, writer, and lecturer with an aim toward coalescing and defining the emerging national and international aerospace regime and activities. The son of Christopher Joseph and Kathleen Rose (Gallagher) Haley, Andrew Gallagher Haley was born on 19 November 1904 in Tacoma, Washington. He earned bachelor of laws degree from the Georgetown University Law School in 1928 and bachelor’s degree from George Washington University in 1934. He was admitted to the D.C. and Washington State bar associations in 1928 and 1929 respectively, and he was a member of the International, Inter-American, Federal, and Federal Communications Commission bar associations over the course of his career. He was also a member of Delta Theta Phi legal fraternity. He married Delphine Delacroix on 1 December 1934. The couple had two children, Delphine Delacroix Haley (December 1934) and Andrew Gallagher Haley, Jr (January 1938). While a student at Georgetown University, Haley worked part-time for Washington Senator C. C. Dill, where he helped draft the Federal Radio Act of 1928. He also served in the US Merchant Marine as a tele-operator while at Georgetown. He made multiple crossings of the Atlantic on the passenger cruise ship SS Leviathan during the summers of 1925 and 1926. He also made Atlantic crossings in 1929. The summer of 1927 he spent cramming for the 1927 District of Columbia Bar Examination, which he passed in December 1927. Haley received an LLB degree from Georgetown in June 1928. In the school year 1928-29, Haley studied International law at a university in England. In 1929, after serving again in the Merchant Marine in April and May, he returned to Washington State. He was employed as a secretary by Congressman Ashley Horr during 1931 and 1932; and he was an aid to Congressman Wesley Lloyd during 1933. While serving in Congressman Lloyd’s office, in September 1933 he was appointed to an attorney position with the Federal Radio Commission (FCC). In that position he also worked part-time with Senator C. C. Dill’s office, to help draft the Communications Act of 1934. When it was enacted, Haley was appointed to the legal staff of the Federal Communications Commission created by the 1934 Act. In 1939, after 5 years with the FCC, Haley left the civil service and became a private practitioner in Washington, D. C. He began in sole practice but later joined one other attorney in a partnership and subsequently was the senior member of several law firms during the 1950 and 1960s. In 1942, he was called to active service as a Major in the Judge Advocate General’s Office, Headquarters, Army Air Forces. An expert in rocket propulsion, Haley was released from the Service to co-found, with Theodore von Karmen, the Aerojet Engineering Corporation (later Aerojet General), which designed and developed rocket and jet-assisted take-off units for aircraft during World War II. Haley served as Aerojet’s second president and managing director until 1945. From 1945-1946, Haley served as an advisor to the United States Senate Special Committee, investigating the National Defense Program. In addition, he served as president and director of Missiles-Jets & Automation Management Company. Haley was president and director of KAGH, Inc., in Pasadena, California, from 1947-1950. He went on the air on 1300-AM in 1948. He also owned KARS-FS (Billboard 22 October 1949). He served as legal advisor for the International Telecommunications Conference, Atlantic City, in 1947, and the Fourth International American Radio Conference in Washington, DC, in 1949. In 1949, Haley served as an industry advisor at the Third North American Regional Broadcasting Conference held in Montreal, Canada, and in Havana, Cuba, and Washington, DC, in 1950. An advocate of astronautical communications, Haley represented the IAF and the ARS at the Eighth Plenary Assembly of the International Radio Consultative Committee (CCIR) of the International Telecommunication Union (ITU) in Warsaw, Poland, from 31 August – September 1956. He attended CCIR sessions in Moscow from May-August 1958, as well as the CCIR meeting in Geneva, Switzerland. In April 1959, Haley served as chairman of the Government-Industry Arrangements Committee for the Ninth Plenary Assembly of the CCIR in Los Angeles, California, and from August-December 1959, he served as a delegate to the Administrative Radio Conferences of the ITU in Geneva. Appearing before the Federal Communications Commission and the State Department Radio Preparatory Committee as an advocate of the complete astronautical radio allocations plan, Haley obtained full recognition for the IAF for the ITU and the promulgation of far-reaching proposals for non-military and worldwide radio frequency allocations from agencies of the United States government. After the war, Haley promoted space exploration and astronautics in the International Astronautical Federation (IAF). He served as vice president of IAF from 1951-1953, president from 1957-1958, and general counsel from 1959-1961. Haley also served the IAF as a chairman of the International Affairs Committee and as a member of the Finance Committee. From 1958 to 1960, with the collaboration of John Cobb Cooper and others, Haley led formation of the International Institute of Space Law (IISL). In 1960, he assisted Frank J. Malina and Theodore von Kármán in the formation of the International Academy of Astronautics (IAA). Haley organized and attended the meetings with the IAF International Affairs Committee of the IAF and UNESCO in Paris, France, 15-16 April 1957. He organized and was chairman of the First Colloquium on the Law of Outer Space held at The Hague on 29 August 1958, and he was convener of the Second Colloquium on the Law of Outer Space held in London on 4 September 1959. Haley served the American Rocket Society (ARS) as vice president in 1953, president in 1954, counsel from 1955-1963, and sat on the Board of Directors. He was the first chairman of the ARS Committee on Space Flight and served two terms in that capacity (1952-1954). He also served as chairman of the Space Law and Sociology Committee. Together with Frederick C Durant, Haley was a co-representative of the ARS to the Second International Congress of Astronautics held in London, England, in 1951; the Third International Congress of Astronautics held in Stuttgart, Germany, in 1952; the Fourth International Congress of Astronautics held in Zurich, Switzerland, in 1953; the Fifth International Congress of Astronautics held in Innsbruck, Austria, in 1954; the Sixth International Congress of Astronautics held in Copenhagen, Denmark, in 1955, the Seventh International Congress of Astronautics held in Rome, Italy, in 1956; the Eighth International Congress of Astronautics held in Barcelona, Spain, in 1957; the Ninth International Congress of Astronautics held in Amsterdam, Netherlands, in 1958; and the Tenth Annual Congress of the IAF in London, England, in 1959. He established the ARS’s Astronautics Award in 1953, and renowned recipients include Dr. Theodore von Karman (1954), Dr. Wernher von Braun (1955), and Dr. Joseph Kaplan (1956). In 1956, he helped to establish the field of space law and coined the term “metalaw,” which refers to the study and development of a workable system of laws applicable to relations with alien intelligences. Haley was also an observer at the NATO Guided Missile Symposium in Munich, 23-27 April 1956; the Sixth General Assembly of the Advisory Group for Aeronautical Research and Development (AGARD) to NATO in Brussels, 29-31 August 1956; the Ninth International Congress of Applied Mechanics at the Free University of Brussels, 5-9 September 1956; the Comite Special de l’Annee Geophysique Internationale (CSAGI) in Barcelona, 9-12 September 1956; the Guided Missile Seminar of the Guided Missile Committee of the Aircraft Industries Association (AIA) in Venice, 24-27 September 1956; the Ninth Session of the UNESCO General Conference in New Delhi, 9-18 November 1956. From 18-20 February 1957, Haley participated as a member of the Human Factors Panel in the Astronautics Symposium held in San Diego, California, under the sponsorship of the United States Air Force Office of Scientific Research and Convair Division of General Dynamics Corporation. Haley lectured on “The Law of Outer Space” at Princeton University; [Detroit]; University of Chicago; University of Michigan; Northwestern University; University of Wisconsin; University of Minnesota; University of Montana; Montana State University; Gonzaga University; University of Washington; University of California, Berkeley and Los Angeles; University of Utah, University of Colorado, Washington University in St. Louis, Harvard University; Georgetown University, American University; University of Maryland. In Europe, he lectured at the Universities of Paris, Stockholm, Copenhagen, Berlin, Munich, Stuttgart, Madrid, Lisbon, Belgrade, Prague, Witwatersrand, Warsaw, Moscow, and Saint Petersburg. He also lectured at the Cairo Technical Institute; and the Technical Institutes of Sao Paulo and Buenos Aires. Haley was a member and president (1957-1959) of the International Astronautical Federation, and a Fellow of the British Interplanetary Society, the South African Interplanetary Society, the Canadian Astronautical Society and the Asociation Argentina Interplanetaria. He was a member of the Air Force Association, Association of Missile and Rocket Industries, International Institute of Sciences Institute of Aerospace Sciences, American Astronautical Society, Österrreichische Gesellschaft für Weltraumforschung, Dansk Interplanetarisk Selskab, Societe Francaise d’Astronautique, Deutsche Gesellschaft für Raketentechnik und Raumfahrt, Hellenic Astronautical Society, Israel Astronautical Society, Associazione Italiana Razzi, Japan Astronautical Society, Nederlandse Vereniging voor Ruimtevaart, Norsk Astronautisk Forening, Polskie Towarzystwo Astronautyczne, Agrupacion Astronautica Espanola, and the Svenska Interplanetariska Sallskapet. A member and vice chairman of the committee on space law for the American Television Society, Haley was a member of the Society of Motion Picture and Television Engineers, the Broadcast Pioneers, Armed Forces Communications and Electronics Association, and Radio and Television Executives Society, Inc. Haley also maintained memberships with the Society of Comparative Legislation and International Law, American Ordnance Association, American Society of International Law, International Law Association (American), and Association of International Law (Tokyo, Japan). He was also a member of the National Press Club, the Aero Club, the National Aviation Club, the Congressional Country Club, the Washington State Press Club, and the National Aviation Club. In 1956, Haley published an article entitled “Space Law and Metalaw—A Synoptic View,” in which he proposed his “interstellar golden rule”: Do unto others as they would have you do unto them. In 1958, Haley published Rocketry and Space Exploration. He developed his ideas in various papers and books, including Space Law and Government (1963). 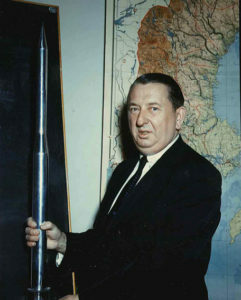 Haley was honored for his body of work by the American Rocket Society (2 December 1954) and the American Bar Association, and he received the Grotius award from the Grotius-Stiflung in Munich, on 28 August 1958. He was an honorary member of the Bar Association of Tennessee, the Schweizerische Astronautische Arbeitsgemeinschaft, and the Astronautical Society of the Republic of China. A honorary corresponding member of the Institu Francisco Vitoria, he also served as an honorary counselor for the Sociedade Interplanetaria Brasileira. The Haley Space Flight Award (Haley Astronautics Award), presented every other year by the American Institute of Aeronautics and Astronautics for outstanding contributions by an astronaut or test personnel to the advancement of the art, science, or technology of astronautics, was first awarded in 1954. He was inducted into the International Space Hall of Fame at the New Mexico Museum of Space History in 1976. The Andrew G. Haley Collection contains more than 24 linear feet of private and professional correspondence, manuscripts, personal files, photographs, and scrapbooks. The collection includes extensive correspondence with legal scholars, academics, politicians, and military personnel from all over the world. Also included in the collection is material relating to the early years of the International Astronautical Federation, International Institute on Space Law, International Academy of Astronautics, and American Bar Association.